I love gadgets and I love what Palm has done for the handheld market. I love the concept of Palm rolling out a new laptop-sized device. But that is where it ends. 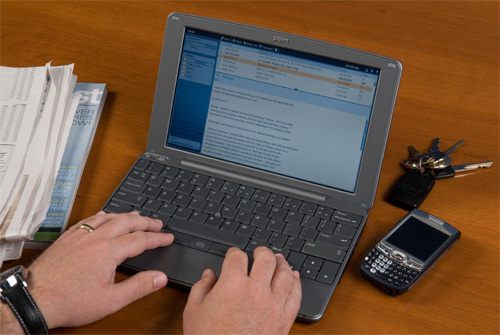 The new Palm Foleo has a fraction of the functionality of a Windows computer but is priced just under an equivalent laptop. It syncs nicely with your mobile device but then again so does your laptop. I haven’t had a chance to use this new product but in my mind I can think of virtually no one who needs it. There are likely narrow vertical markets that need computing power on a platform that doesn’t get viruses but when we have laptops running Windows with millions of apps why on earth do we need a Linux-powered device that doesn’t run most applications? Think of it this way. Even Apple has given into Windows and will warm-boot between it’s OS and Windows. Palm has no traction in the market in this segment and this could be one of the worst moves ever made in computing. I keep trying to come up with a scenario where the Foleo makes sense and I just can’t. It seems doomed to me but perhaps Palm can morph it to be something useful down the line. But then again, I can't see what that will be. Palm would have been much better off making a truly functional ultra-mobile PC as if there is a market here that is going to be it.